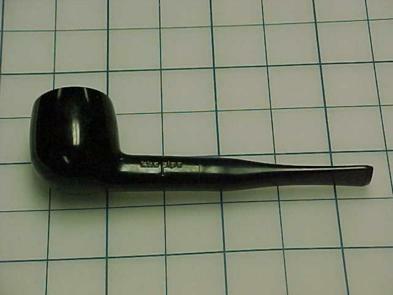 The value of pipe #413 is n/a points. My buddy Al Grosskopf sent me an E-mail the other day. He found a passel of pipes at an an antique show and thought I might like the lot. His price was fair and my policy of rewarding those who find pipes for me pays off, so I bought the lot, nine pipes in all. Most of them are duplicate pipes and will go up for sale immediately. Carl Dearman bought this one.